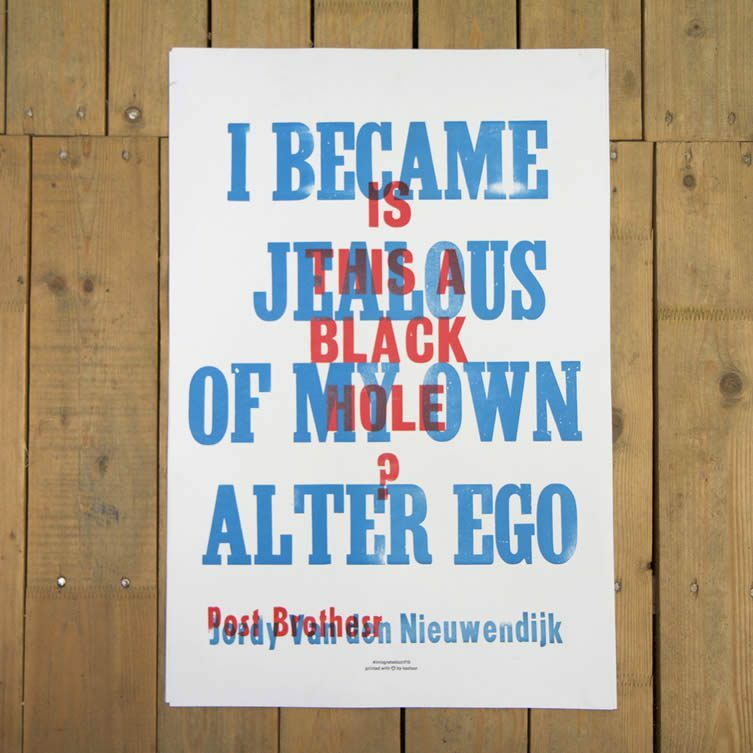 Kastaar Press (Daredevil Press, in Dutch), has been described as an analogue print factory with a taste for strong typography, illustration, and graphics. 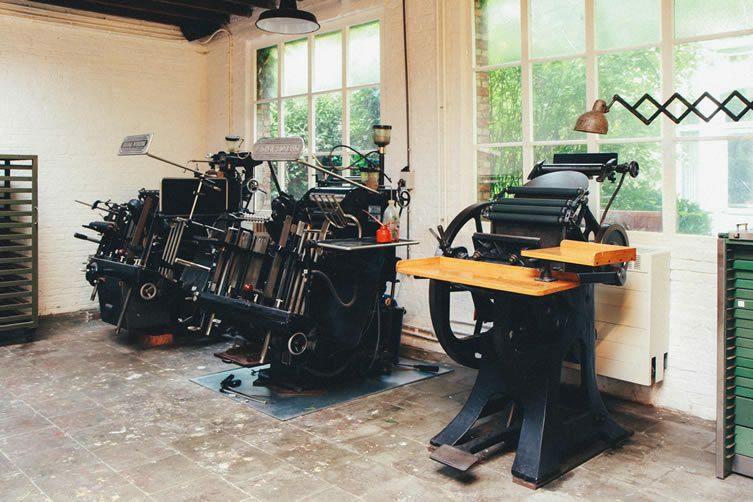 The brainchild of printers/makers/designers An Eisendrath and Stoffel Van den Bergh, Kastaar Press studio is a rescue home for ageing letter press paraphernalia. 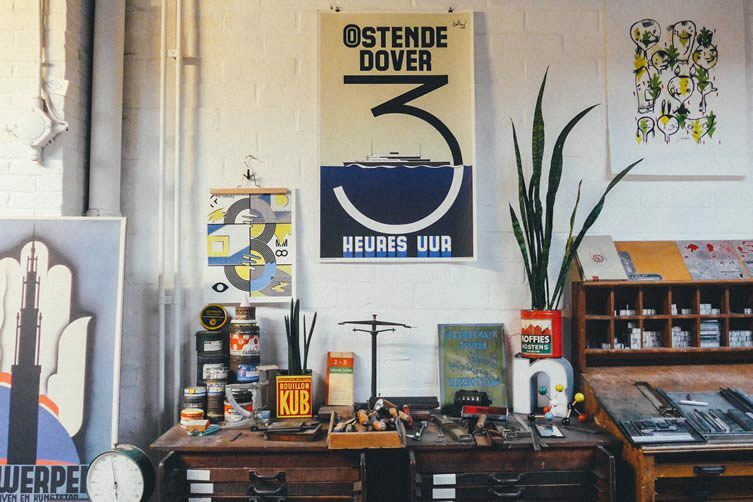 From lead type to cast-iron machines and wooden cabinets, the duo have been rescuing ready-for-scrap equipment for some time; during my recent visit to Antwerp, I had the immense pleasure of being let loose in the Kastaar studio. 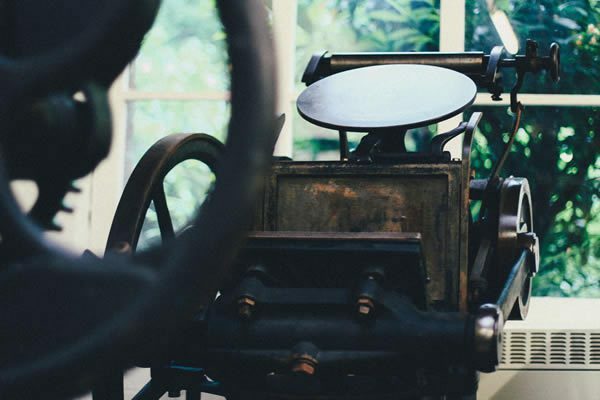 To my delight, the large space was full of machines I’d never even set eyes on: an original Heidelberg ‘windmill’ press; a multitude of lead type; Eisendrath and Van den Bergh’s incredibly skilful work adorning the walls … I was in heaven. You could almost call the fully operational studio a museum; the collection that impressive. I was awed with the pair’s dedication to their craft — laborious maybe, but hugely rewarding, the distance from the computer screen incalculably inspiring. How and when did Kastaar Press come about? When did you rescue your first bit of kit? SB: We met when we were both teaching graphic design at Sint Lucas. We noticed we had a lot in common. With a background in product design, it was clear that we’d never stick to 2D screens. 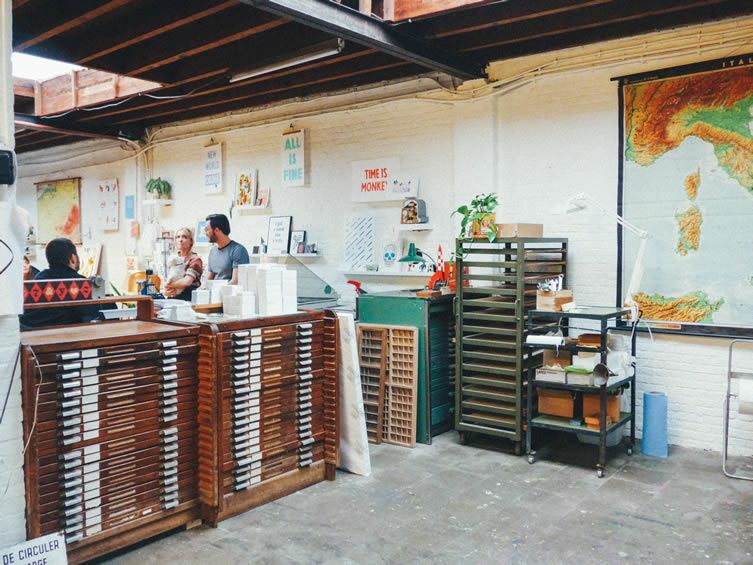 AE: I fell in love with a booklet about a letterpress studio, and found out if it was possible to buy a small press of our own. It was never our intention to set up a studio this size. It all started with this small hand press we found online. The press was actually in bad shape, so Stoffel took it apart, fixed it, and put it back together like new. SB: We found another hand press, then another one, and then we saved a cabinet full of lead type. We collected more and more, and then we found a Heidelberg windmill in Ghent; then a Korrex proofing press in Rotterdam. AE: People noticed what we were doing, and a lot of stuff was just coming our way. We kept on buying those beauties, saving them from the scrap yard. SB: Only one tiny detail slipped our minds, we didn’t have a studio. We were in desperate need of a huge workspace. 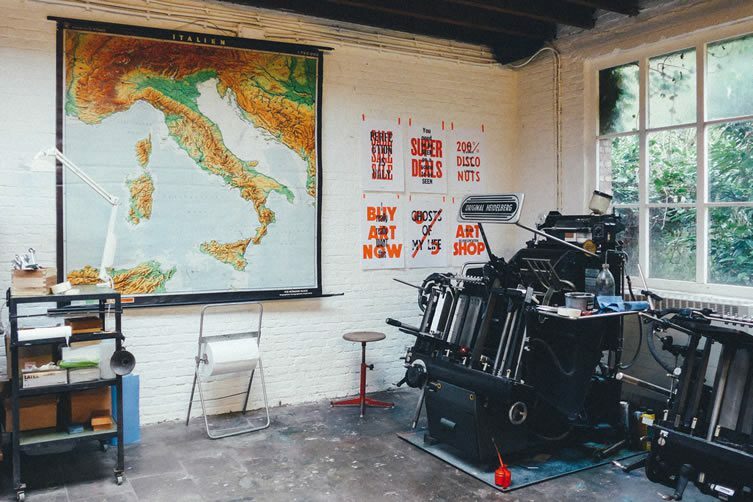 AE: We were over the moon when we finally found this spot in one of the most beautiful streets of Antwerp, it’s a studio big enough to park all our presses; and we could save even MORE presses. SB: We gathered a nice collection of hands-on printing material from retired printers and craftsmen who’d passed away. And even more importantly, all the people we met were hugely grateful that we were giving their precious machines a second life. 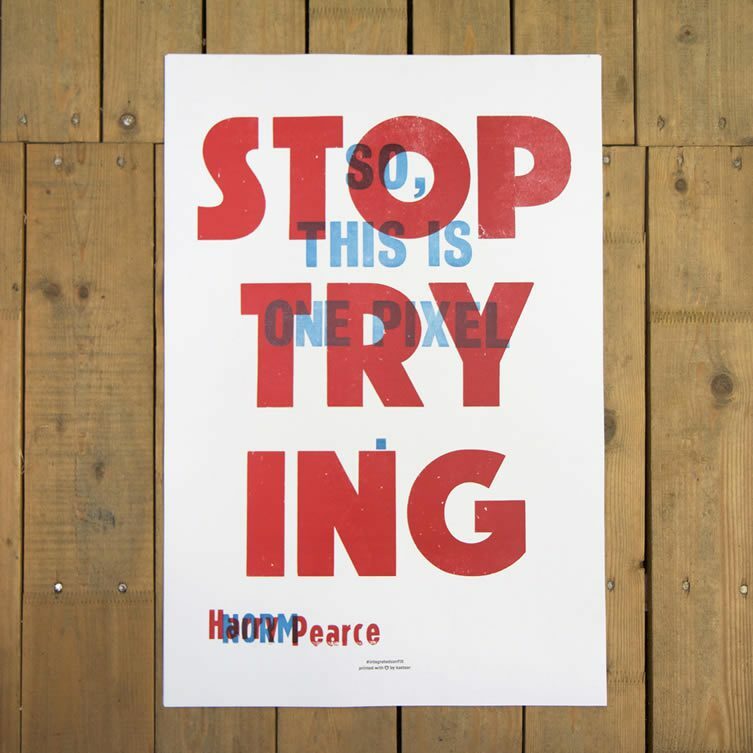 Your love for traditional letterpress is evident; yet you’re not turning your back on contemporary techniques either. Can you elaborate on your relationships between the past and future in terms of print and graphic design techniques? A&S: We are certainly not anti-digital, au contraire: we want to make this connection between the past and the future. 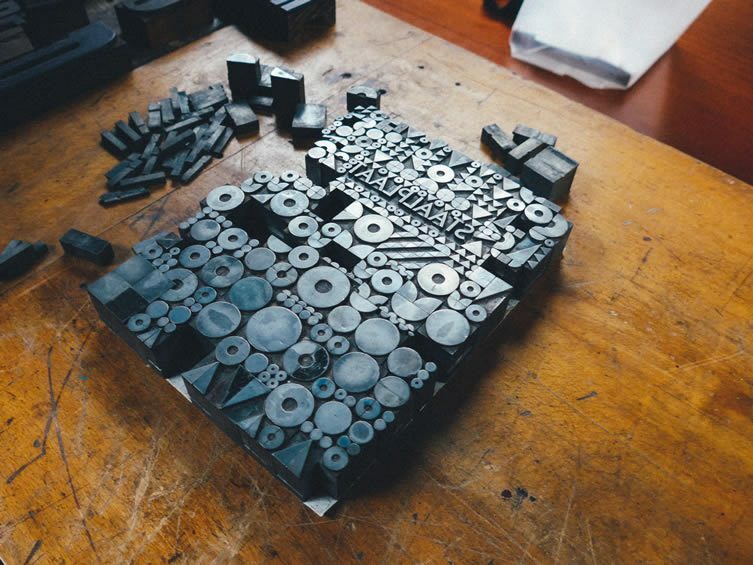 We felt the urge to get away from our computer screens and to get our hands dirty, we wanted to embrace the history of print. We see our tools as a way to play and experiment, and to define our design process. 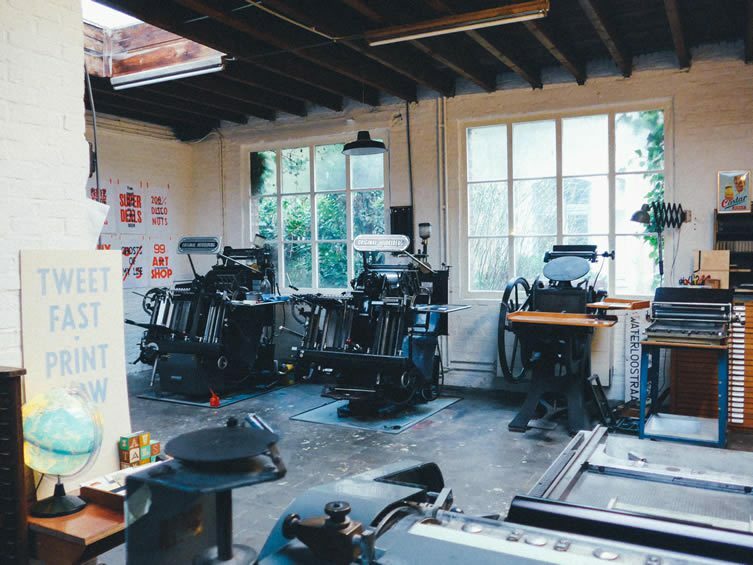 Offset and digital presses have evolved quickly. You can print millions of colours with the push on one button. Our machines force us to carefully select and mix the colours ourselves, and we can only print one colour at a time. But … you can also use these limitations to your advantage. You are forced to think twice about colour, composition, and kerning. 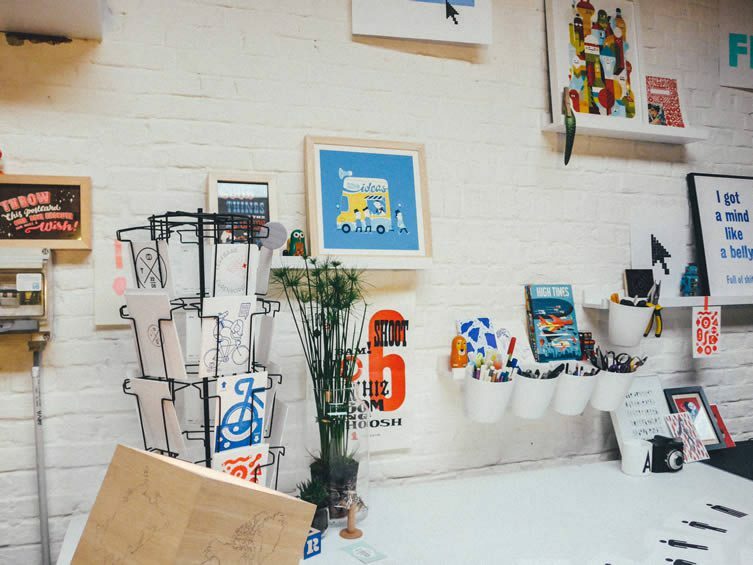 Kastaar is more than a print shop; it’s a bold playground for graphic experiment. 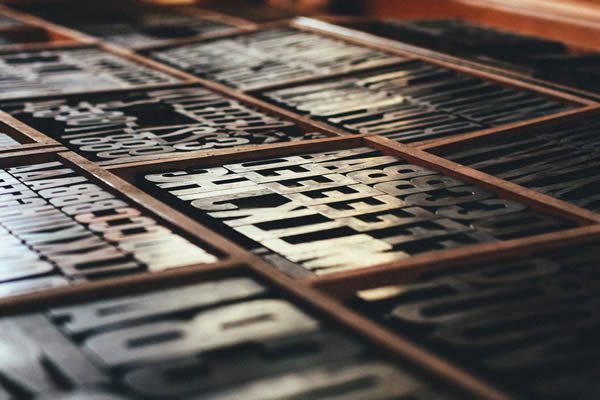 We are looking for ways to combine the old way of printing with modern insights and techniques, like 3D printing, laser cutting, and CNC mills, to cut our own wood type and illustrations. 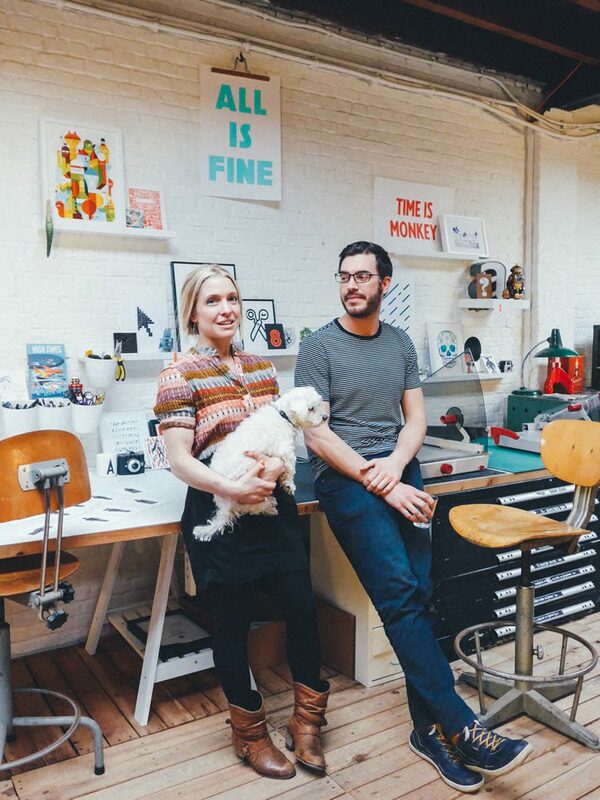 Most of all, we see the workshop as a way to collaborate with other graphic designers and illustrators. Is saving lead type, cast iron machines and wooden cabinets from the scrap yard a bit of an obsession; or perhaps a statement? A&S: A bit of both. In the beginning we were buying almost everything we stumbled upon. But now we are more considerate. 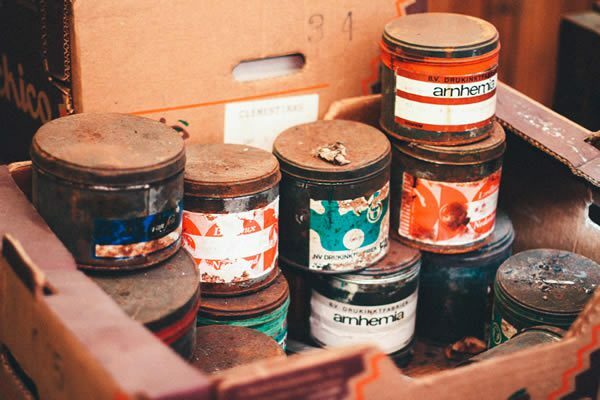 Sometimes, we’re offered beautiful materials or machines but, if we can’t take them, we try to find them another home — so we’re sure they end up in a good place. We really don’t want that history to end up at the scrap yard. Do you have any plans to open it up to more people, maybe workshops? A&S: We have already hosted workshops and guided tours with students. Those moments are very precious to us. It’s so nice to receive enthusiastic responses for our self-taught and exhausting adventure. We’ve received many more requests for workshops, so we plan to stage more in the future. Can you tell us your favourite project(s) to date? 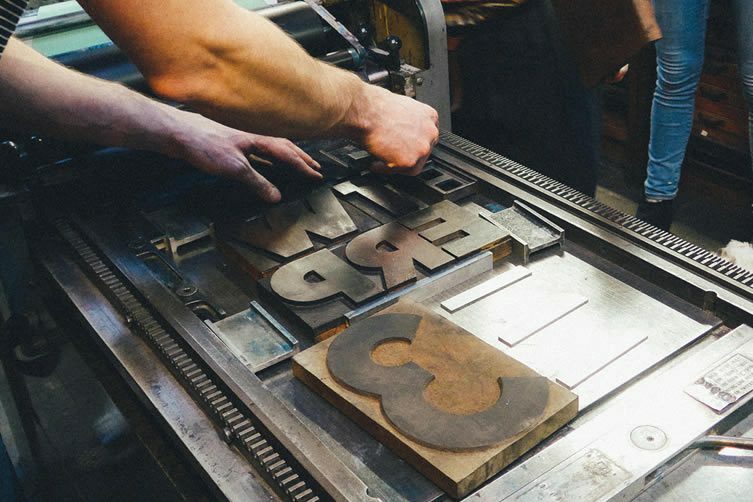 A&S: Apart from being at work in our workshop, we also love to go on location and taking our presses into the public space. We were invited to do a talk at the Integrated conference in deSingel in Antwerp — that’s the biennial art & design conference organised by Sint Lucas School of Arts Antwerp. Oh boy! Almost 1,000 people in the audience! But we made it. 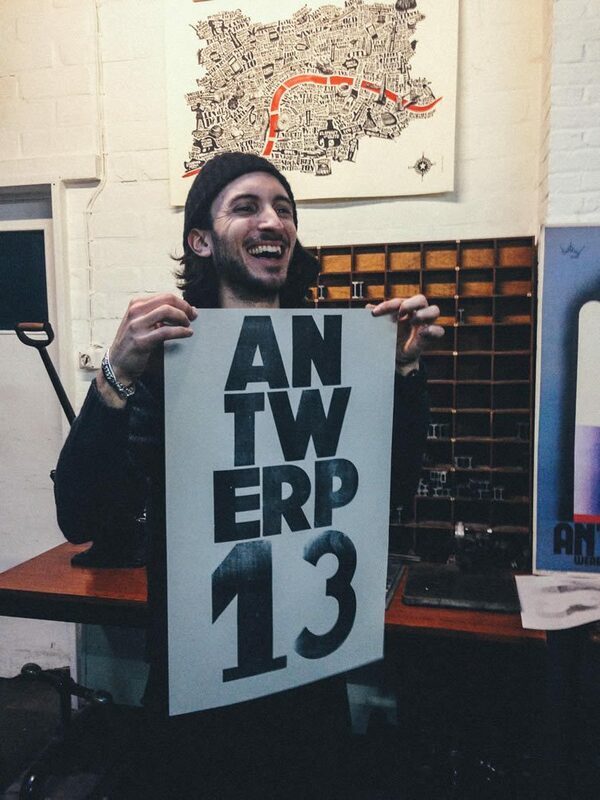 Apart from our talk, we also moved a Vandercook proofing press from our studio to the hallway of deSingel to print a massive amount of posters over two days. 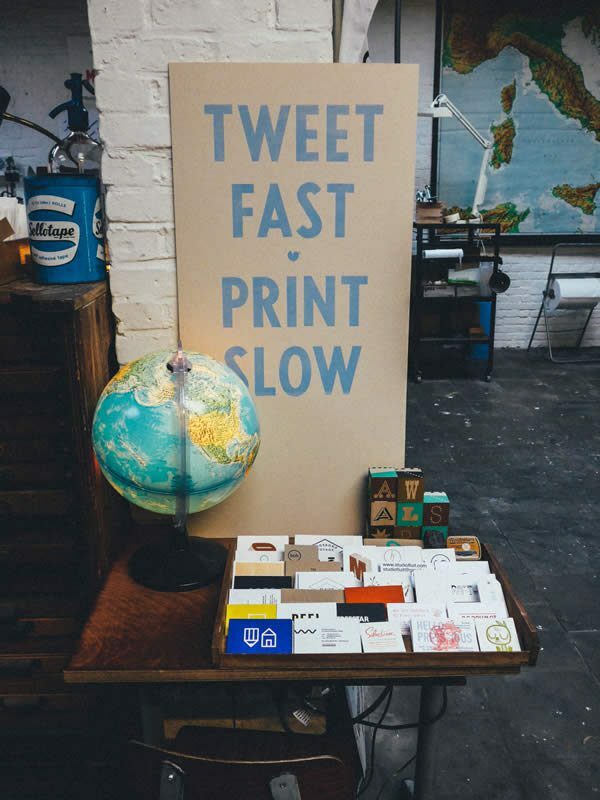 That’s actually 10 hours of printing a day, 20 hours in total. We didn’t get to see any of the other talks ourselves, but were kept up to date by a lot of people. AE: Antwerp is actually a small town trying to dress up like a metropolis. You always bump into people you know, which I kind of like. A lot of things are happening, especially in the summer including: second-hand flee-markets, Marta (a cozy little market selling local organic products), De zomer van Antwerpen (a festival with a top selection of theatre plays, movies in open air, and pop-up bars filled with sand), and Wunderkammer (a tiny gift/interior shop with very nice objects … I could live in that shop). SB: If you’re in the creative scene, you somehow know all the creatives and what they are doing. There are a lot of us packed in this small town, you are forced to develop your own specific style, craft, or way of thinking. A lot of interesting things are happening in the city, despite the political climate we’re in (see it as a counterforce). I personally have high hopes for a specific project: We Kopen Samen Den Oudaan (We Buy Together Den Oudaan) — Den Oudaan being a modernist building in the centre of Antwerp, designed by Renaat Braem in the 1950s. It currently hosts the police administration in Antwerp, but is now up for sale. It would be a shame if this historic building got into the hands of private real estate agents, a bunch of creatives are doing everything they can to develop a master plan to keep the building in the hands of ‘the people’. 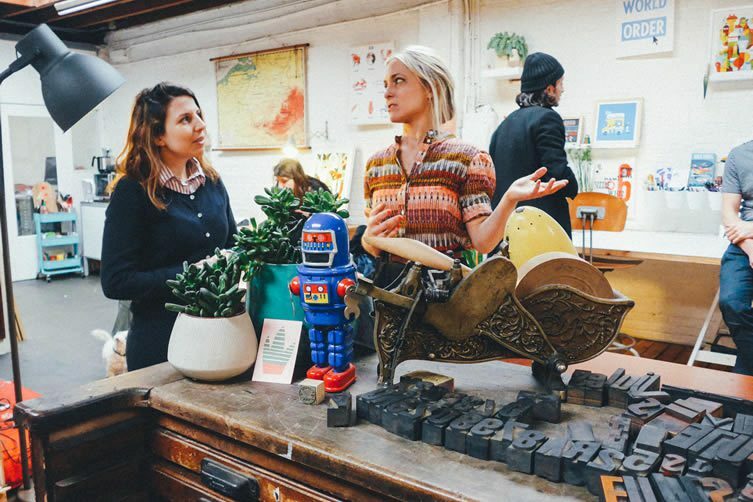 They are looking into ways to set up a cooperative to transform the building into a creative paradise — with workspaces; ateliers; a garden on the roof; a bar.